Donnarumma Highlights List Of Rossoneri Called Up To International Duty – AC Milan Bros.
With yet another international break underway, Milan are currently riding a nice five-match unbeaten run. The Rossoneri most recently let their three-match win streak come to an end at home with a scoreless draw against Atalanta but with this break, Mihajlović can let his men rest while also waiting on reinforcements to arrive. As it stands, Milan sit in 6th place, two points ahead of Juventus who they will battle once the break concludes. While many players on the squad will use the two weeks to recuperate and prepare for the battle with the Bianconeri, there were 13 players that will partake in intentional duty for their respective national sides. Alessio Cerci, Italy: Cerci has played well recently and as a result, Antonio Conte has made it worth his while. The former Torino attacker started off slow and seemingly out of the mix with Milan, but the recent adjustment to a 4-3-3 has allowed Cerci to play his way back into a starting role. A bit of a shock that Conte chose him, but at the same time he was deserving of a re-call. Luca Antonelli, Italy: The ex-Genoa defender has cemented down one of the two fullback slots under Siniša Mihajlović despite competition between Ignazio Abate, Mattia De Sciglio and the teenager Davide Calabria. Despite the internal battles, Antonelli really has earned this call-up and expect him to continue to compete for a spot on the Euro 2016 roster. Mattia De Sciglio, Italy: The 23-year old De Sciglio has battled inconsistency the entire season. We have seen some quality play from the former Milan youth player, and then we’ve seen shaky performances. De Sciglio has still managed to play better for the Azzurri than for his club, however the struggles to maintain a rhythm in all competitions is a concern that he needs to iron out soon. Riccardo Montolivo, Italy: A resurgent Montolivo earned his call-up back to the Nazionale last month after more than a year absent from the team. The captain has seen an upswing in his play and that can be credited to Mihajlović for letting him prove himself. The former Fiorentina midfielder suffered a major leg injury that kept him out of the World Cup 2014, but with his manager’s trust and the confidence inside him, expect the 30-year old to be in the mix come next summer. 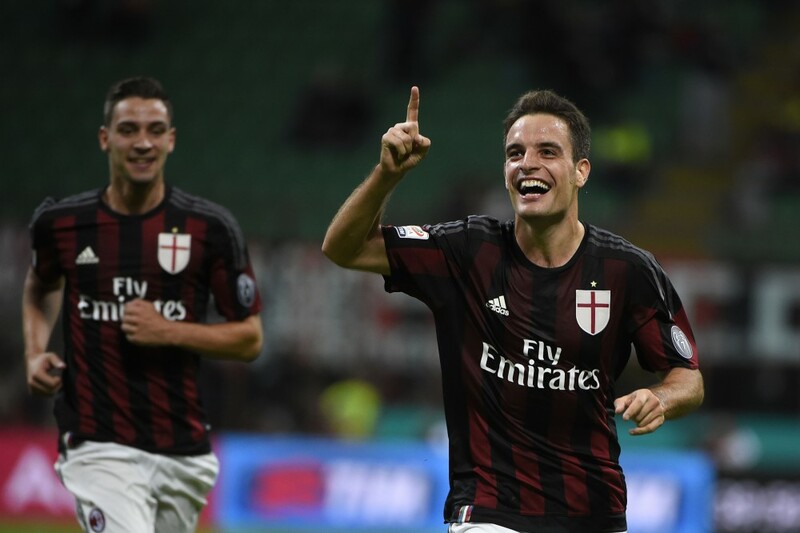 Giacomo Bonaventura, Italy: Perhaps Milan’s most important player this year, Bonaventura has been everything they could have hoped for when they purchased him from Atalanta last summer. Out on the wing or in the midfield, the 26-year old is more than deserving of a spot on Conte’s Italy and if he continues to shine in Serie A, he will be on board the flight to France. Keisuke Honda, Japan: Honda has struggled the entire season. He has not looked comfortable on the wing or behind the strikers which most assumed would help him find confidence. Rumors of his departure loom and with the crowded attack and midfield, the Japanese international looks to be on his way out, but for country he remains vital to any success they will have. Juraj Kucka, Slovakia: The Slovakian has been given the chance to take hold of one of three midfield spots and for the most part, has done so. The 28-year old has been a bargain thus far, costing Milan roughly 3 million euros and with his recent run of good performances, he is expected to be given the nod the majority of the time by Mihajlović. However, some would argue that he is more important for his national side. Rodrigo Ely, Brazil U-23: With a strong pre-season, Ely earned the opening round start in the back alongside Alessio Romagnoli. But since his red card in that opener against Fiorentina, he has been ousted from the squad for the most part. The former Avellino man has dropped dramatically down the depth chart and with Mexes back, along with Alex and Zapata in the mix, Ely appears to be off the radar. Cristian Zapata, Colombia: Many would agree that Zapata plays better for country than he does for club. However, Zapata has been a decent performer for Milan in 2015/16 but unfortunately for him, that decency has allowed Philippe Mexes to swoop in for the second centre-back slot. Mihajlović needs more from this centre-half and we expect more. Carlos Bacca, Colombia: The 30 million euro man has been everything Milan could have wanted when they shelled out the money for his signature this past summer. 6 goals credited to his name, Bacca has been solid for the club, already becoming a fan favorite amongst the supporters. Some said the large fee was a bit excessive, but the 29-year old has truly been worth it. For Colombia, he remains a key man. Alessio Romagnoli, Italy U-21: The young Italian, after arriving for 25 million euros from Roma, has shined throughout the entire season. You will have a hard time finding a hiccup in his game this season and if it wasn’t for the veteran trio of Giorgio Chiellini, Andrea Barzagli and Leonardo Bonucci, Romagnoli would have perhaps been given a shot at the senior side. It’s only a matter of time until he is starting for the first team. 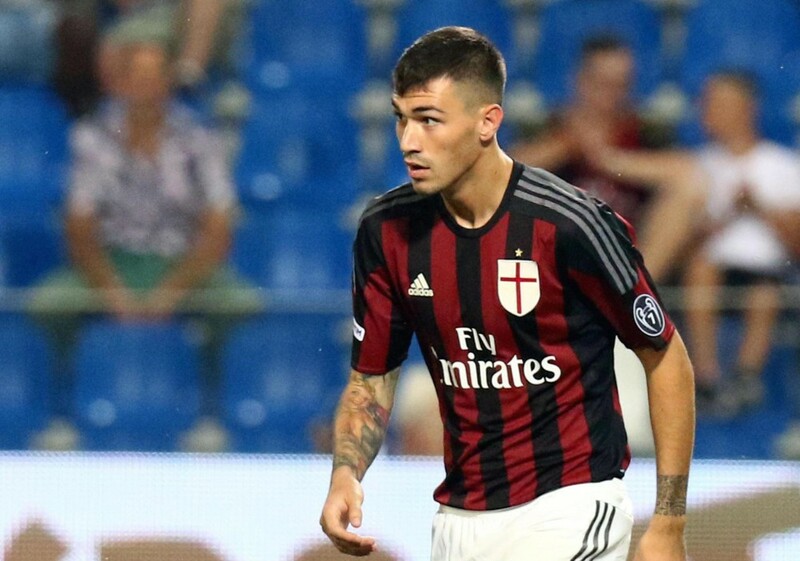 AC Milan’s Italian defender Alessio Romagnoli in action during the triangular soccer match for the 2015 Trofeo Tim (Tim Trophy) between US Sassuolo, Inter FC and AC Milan at Mapei Stadium in Reggio Emilia, Italy, 12 August 2015. Gianluigi Donnarumma, Italy U-21: The 16-year old has exceeded expectations. That isn’t an insult to him or his game. We just didn’t expect him to replace Diego Lopez who was probably the least of the club’s issues. The tall keeper earned the call-up to the U-21 side led by Luigi Di Biagio and since his debut against Sassuolo, Donnarumma has never looked back. Quickly, we are seeing the future goalkeeper of Italy climb through the ranks. Davide Calabria, Italy U-21: Things are beginning to look bright for Milan’s future. 18-year old Calabria has played a fair amount this season, being favored at times over De Scilgio and Abate, but Mihajlović has made it clear that nobody will be given anything. Calabria has proven in some 200 minutes of Serie A action this season that he is ready to make a push for a starting fullback slot. Along with Romagnoli and Donnarumma, Calabria has been given the call-up to the Azzurrini and could feature in the upcoming Euro Championship qualifying matches against Serbia and Lithuania.